Three rows of frozen fruit on the top shelf of my freezer. I had just dropped off a bin or two of old household items for donation at the local Goodwill center. Afterwards, I checked out their inventory inside the store, and by chance I stumbled upon an item for sale which I had never even heard of: Yonanas. There are very few things, and even fewer products, that I am unabashedly enthusiastic about. Yonanas is one of them! I will unabashedly promote Yonanas to family and friends. The name sounds a little goofy, but trust me, you need to get one of these machines. The way it works is extremely simple. Freeze any type of fruit you like. When you so desire, take the frozen fruit out and let it thaw for about 15 minutes. 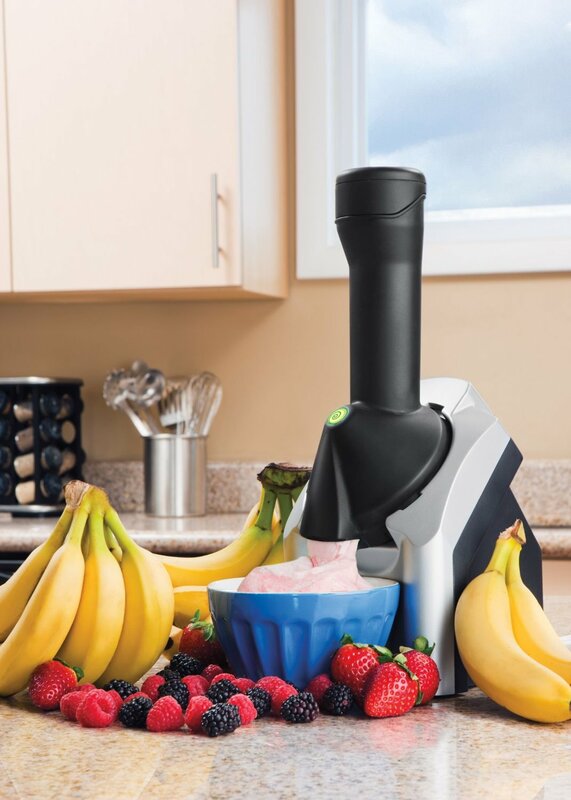 Turn the Yonanas machine on and put the fruit or fruit combinations down the machine’s chute. Out comes something reminiscent of soft-serve ice cream, but with ingredients that consist purely of fruit and nothing else. There are no other ingredients. Simply put, this is fruit reimagined. My fruit of choice is bananas, but eating them in frozen form, for some reason, is twice as good. And when some bananas are losing their ripeness and I know I won’t get around to eating them, I just put them in the freezer. No more waste. If you had to sell one thing for a living, this would be the thing. Every house should have one. Restaurants should sell this as a desert. I say these things in full sincerity. Every single thing about this product is simple. The ingredients are whatever fruit you feel like buying at the store and trying out. The process of making it is simple. The time involved is almost non-existent. 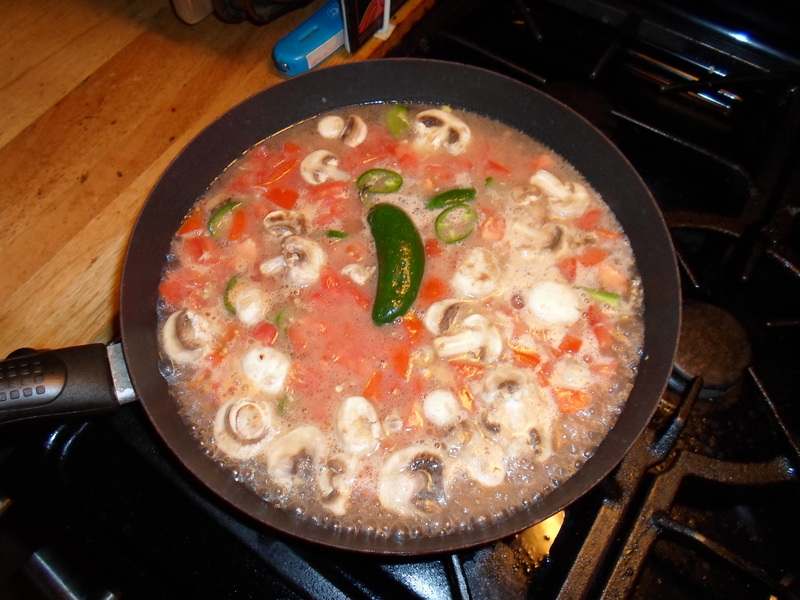 The final product itself is simple. Anyone who can eat ice cream can eat Yonanas. Children who are given Yonanas will probably like it as much if not more than ice cream, and will probably think it is ice cream. Arguably, it’s also a healthier desert. Eating fruit is said to provide many health benefits, plus this is arguably healthier than other deserts with extra added ingredients you can’t even pronounce. At the very least, it’s as healthy as eating fruit. If you eat fruit, this is exactly the same thing. What you put into the Yonanas machine is what you get out. 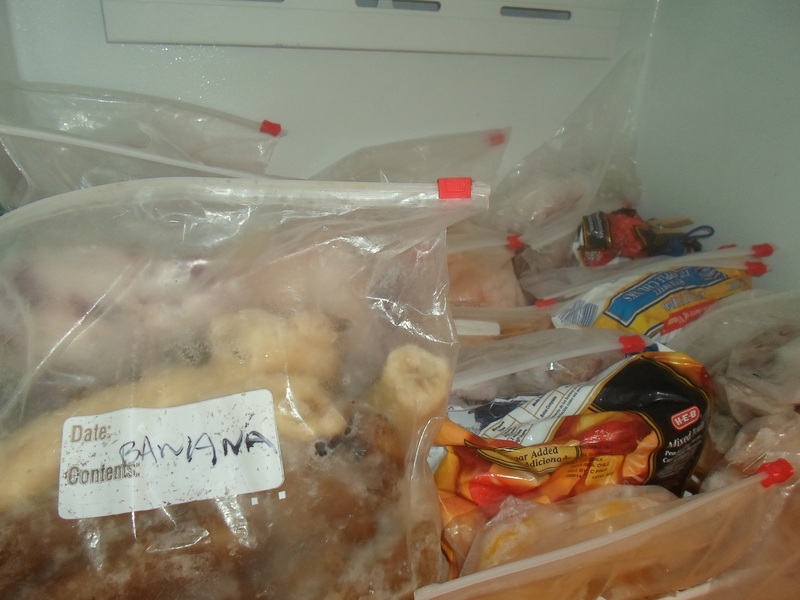 And finally, as if that weren’t enough, your freezer actually runs more efficiently when it’s packed with more items. The more fruit you freeze, the more energy efficient your freezer becomes. 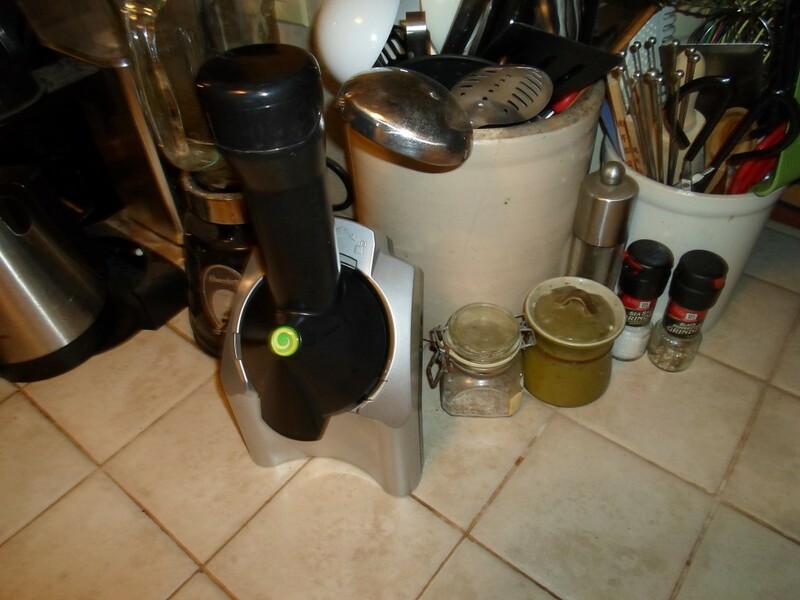 My Yonanas machine has positioned itself as a first-class, always-out kitchen appliance. One word of warning. Many fruits are rich in sugar. If you do a search on Google for something like bananas sugar, you’ll get a customized search result that will tell you how much sugar is in a particular type of fruit. All of that said, for various reasons, some believe that the sugar in fruit is less of a health concern than the sugar that’s added to most processed foods. And here’s a final piece of advice that may be useful. They say that people should not only watch the volume of sugar that they consume, but also the velocity in which they consume it. In other words, when someone is savoring their Yonanas desert slowly, that’s probably optimal health-wise. Give Yonanas a try! People who have taken the plunge have come back to us and reported that it was a great decision. And just as a basic disclaimer, I have no financial interest in this product, nor any connection to Dole, the company that makes it.